South Africa is quickly becoming one of the most viable tourist destinations in the world. Thanks to its increasing wealth, combined with its natural beauty, it’s a paradise for any traveler. There is no shortage of things to see or do, but equally, just as much to avoid. The continent is home to some of the world’s most fascinating animals, all of which you’ll find on any Safari bucket list. And seeing them in their natural habitats is one of the most rewarding experiences you can imagine. Some, though, are better left shrouded in mystery. Although there is an aura of unpredictability with any animal, not all are created equally. Indeed, some of the beasts you’ll find on the South African plains are the deadliest in the world. If you’re planning a trip to any of the great Safari destinations found at http://theleap.co.uk/, here are some you may wish to steer clear of. You wouldn’t often think of the buffalo as a dangerous predator, but do not underestimate this giant beast. Affectionately referred to as ‘The Black Death’ in South Africa, buffalos are responsible for around two hundred deaths every single year. It is claimed that buffalos have the highest fatality rate of any African animal, so remain at a safe distance. They will usually only attack when threatened, but they won’t think twice about defending themselves. Lions are often seen as the kings of the jungle. They are pack animals, which means if you see one, there’s usually a pride lurking just around the corner. Females may be the ones you need to worry about most, as they do the hunting. However, lions rarely attack unless threatened. Keep your distance when marvelling at this fascinating creature. Rhinos are an endangered species thanks to poachers. Especially in Africa, where this creature is most often found, the numbers are dwindling at an alarming rate. Don’t be fooled, though, an African Rhino gives just as good as it gets. While not often considered as one of the more dangerous animals, they are highly volatile and unpredictable. Don’t get too close, or you may risk being charged at an alarming pace. For more facts about the African rhino, visit http://.wwf.org.za/. 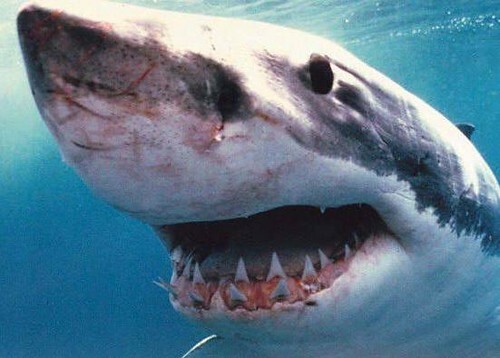 While attacks in South Africa are rare, there is perhaps no greater predator than the Great White Shark. Anyone that has ever seen Jaws can attest to the deadly nature of the king of the ocean. Still, South Africa only sees an average of six shark attacks per year. Only a quarter of those resulted in serious injury. However, if you’re planning on taking a dip in the ocean, it may be wise to keep an eye out for ominous fins heading in your direction. The black mamba is the most venomous snake you can find in Africa. They will not think twice about launching a strike of up to 12 miles per hour. 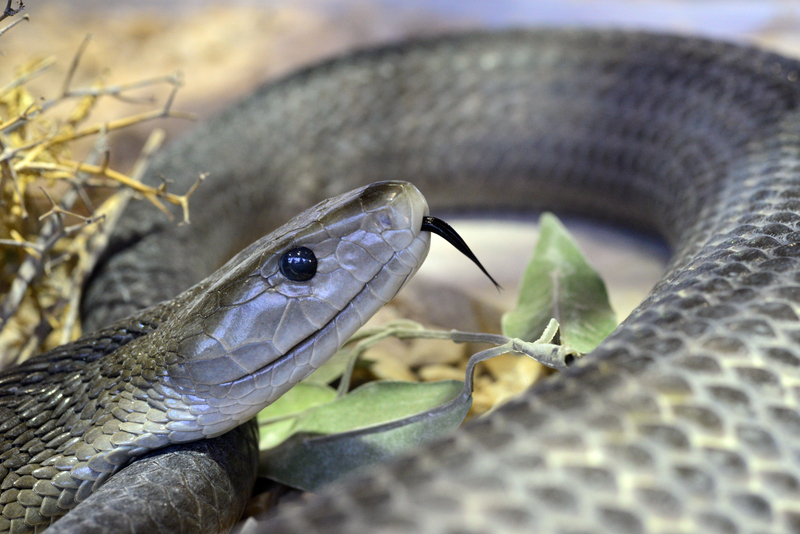 However, thanks to an antidote, there has never been a confirmed fatal black mamba bite in South Africa. Still, it’s not worth taking the chance, as the reptiles are extremely hostile. For the best African travel destinations, visit http://.clicktraveltips.com/.